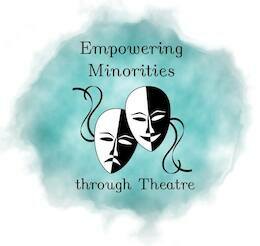 This toolbox contains the description of theatre methodology of empowering minorities, descriptions of excercises, games and other activities used during our "Empowering Minorities through Theatre" Erasmus+ training of youth workers. By publishing this toolbox, we want other youth workers to benefit from our experience. 4) raising youth workers' awareness and understanding of other cultures and countries, offering them the opportunity to build networks of international contacts. EMT (Empowering Minorities through Theatre) was a training course for youth workers from 6 countries – Poland, Palestine, Ukraine, Jordan, Italy and Latvia. It took place in Grzybowo (Poland), between 3.12.2018-11.12.2018 (+2 travel days). During this youth workers' gathering, 26 youth workers form Poland, Palestine, Jordan, Italy, Ukraine and Latvia (3-11.12.2018 /+ 2 travel days), have tested different theatre models that could help in empowering minorities and facilitate their full integration within their societies. The coordinating organization of the EMT project was ADRA Polska and the partner organisations were: - LUNEnuove Cooperativa Sociale from Italy, - Generation of Changes from Ukraine, - Yes Theatre from Palestine, - Bait Al-Hikmah Foundation for Youth from Jordan, - THEATER STUDIO YORICK from Latvia. 20) Designing an advocacy campaign. The needed materials are described inside the toolbox, prescribed to specific activities and their scenarios. The participants of the EMT Erasmus+ training. Our EMT toolbox was created during the "Empowering Minorities through Theatre" Erasmus+ training for youth workers which took place in Poland in 2018. During the EMT Training, during the visit in the local highschool in Poland and during the follow-up activities in all 6 participating organizations and their countries.